Later on today, me or one of the Bin Weevil Company team members will be posting about Rums Airport update! So lets get started, I just got back from school and saw Jelldisco hanging around. I could not talk to her as she was passing by quickly and I quickly got a screenshot! Check below! Weevil wow, Jellydisco spotted! 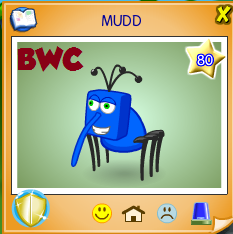 He is a very rare mod in Bin Weevils so there will be not many posts based on him! Posh Spotted At The Shopping Mall! Ever since the new Shopping Mall arrived in the Binscape, I haven’t been able to stop hanging out at it, admiring the design! Yesterday when I weeviled there, I noticed there was a massive croud, then one Weevil jumped right up and shouted “Posh is here!” in capital letters. I looked around and sure enough, I sure Posh standing in the corner. I’ve never seen Posh in the Binscape, so it was nice to finally meet her! I’ve snapped a picture for you to look at. I really like how Bin Weevils have started bringing the Bin celebrities on more, such as Big Weevil, Clott, Tink and I’m sure you do to! Here at Bin Weevil Company, we would love to know who YOUR favourite Bin celebrity is! In the right-hand corner of our site, you’ll notice we have a poll, you can simply choose your favourite celebrity, then click vote! We’ve looked at the results, and so far we can see Scribbles if your favourite celebrity, with a total number of 2,082 votes! Calling All Bin Tycoons! Meet Scribbles At The Club Fling VIP Room! Firstly, Bin Weevil Company would like to apologize for the lack of posts recently. However, we can now confirm we’ll be bringing you the top Bin news daily, once again! Bin Tycoons, you’re in for a weevily treat this Tuesday evening.. your favourite Bin reporter, the one and only Scribbles, will be heading over to the Club Fling VIP room this evening at 5pm (UK time), to meet his weevily fans! I (hf556) will be there grabbing some awesome pictures to share with you, in case you’re not able to pop along. Please remember that only Bin Tycoons are able to access the VIP room at Club Fling. Did You Meet Tink And Clott Yesterday? 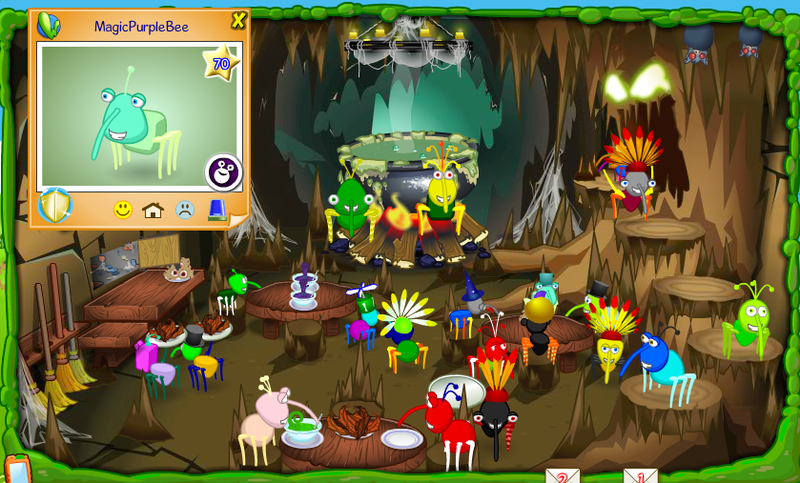 Weevily wow, I had a fab time meeting up with my buddies Tink and Clott yesterday on Bin Weevils! In case you didn’t already know, every Thursday throughout January, Bin celebs will be coming on to hang with their weevily pals! Who did you meet up with in the Binscape? Let us know in the comments section! In the mean time, why not check out these pictures we snapped? Weren’t able to pop along? No worries – your favourite Bin celebrities will be making an appearance in the Binscape on Thursday the 15th, I wonder which will make an appearance? Scribbles? Posh? Big Weevil? Have a happy Friday everyone and stay tuned to Bin Weevil Company for the latest news and gossip. Today, I have spotted to amazing, awesome, Bin Weevils HQ staff, so that’s why I am doing this post. I am doing this post because some people missed them both, so I just want to share some pictures I snapped. As many of you know, GLAMM is back! 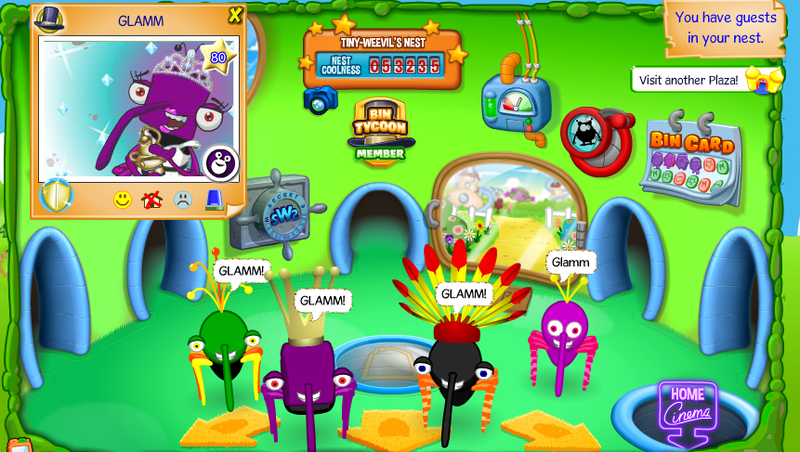 GLAMM used to be part of the Egmont team but sadly they departed from Bin Weevils Ltd. But can you guess what has happened/ who has came back, which has made many people happy? GLAMM has returned, as hf556 posted the other day! This picture was took at my very own nest, I am so pleased that I got a cracking photo! GLAMM will be back in the Binscape soon and we’ll try our best to post it on here! This evening Dana aka MagicPurpleBee was wondering around the new Halloween area. Dana spent some time chatting to us about new features coming this Halloween, including an all-new Halloween map! 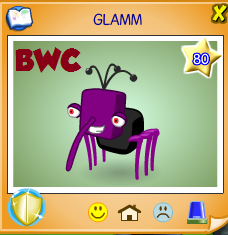 Dana has changed her look to a spooky ghost look, we will put this onto the Bin Weevils Team page soon. Oh wow! 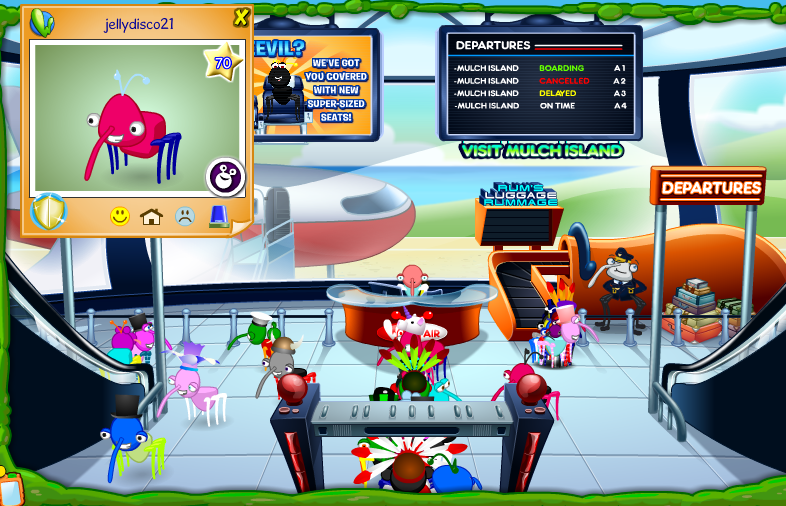 This afternoon we got some gossip from MagicPurpleBee, she was talking about a brand new worker at the Bin Weevils HQ! Dana was touring this new staff member around the Bin and she even said his/her Weevil is jellydisco21.. Here at Bin Weevil Company we want to give you a warm welcome to this new staff member! MONTY, GLAMM and MUDD Are Back! 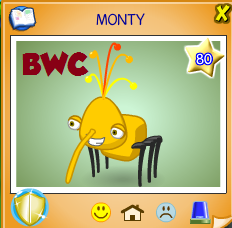 A few months ago, when Bin Weevils left their magazine publishers, Egmont, and moved to Kennedy Publishing, you’re favourite Bin Celebrities, Monty, Glamm and Mudd left. Recently, Kennedy Publishing sent out a survey to quite a few Weevils who had got in-touch with them in regards to the recent issues, and I believe quite a few people got back to them, saying they would like characters such as Monty, Glamm and Mudd back. 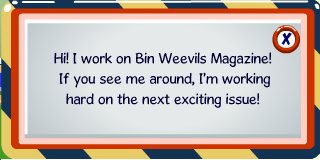 Bin Weevil Company are now proud to announce that they have made a Bin-tastic return!